The age of e-commerce is a relatively new concept. Some might argue that it’s currently in the golden age. Consumers today are more savvy and in-tune with their digital surroundings than ever before. In the United States alone, online sales are expected to reach $523 billion by 2020. With the emergence and dominance of mobile use over the past few years, browsing and ordering products online is incredibly easy. With that being said, one of the biggest obstacles e-commerce businesses face is the ability to create a strong, loyal customer base. As most purchases are made without any human interaction, the challenge is making the customer experience quicker, easier, and more pleasant than the competition. There’s no denying that the modern attention span is at an all-time low. Any hitch whatsoever on an e-commerce website can lead to the loss of a potential customer. In addition to creating a fast, seamless interface, there are many things you can do to nurture relationships and create brand loyalty. Here are three tactics to consider. In the early days of e-commerce, customer service was looking to be a thing of the past. Now, brands are using it to give themselves the edge. Believe it or not, there are many ways to exhibit stellar customer service without face-to-face interaction. 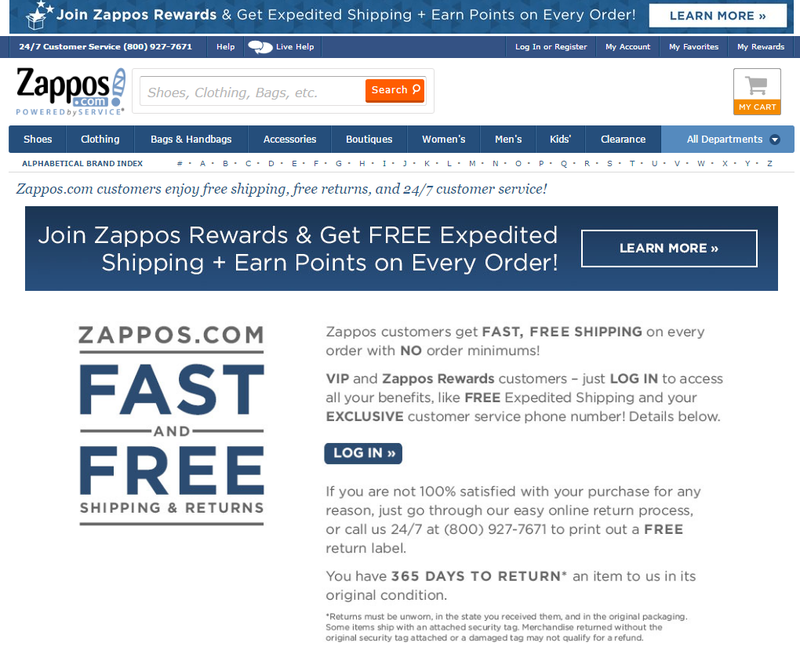 It would almost be a crime to talk about e-commerce customer service and not mention Zappos. Over the past decade, they have solidified themselves as a company with one of best customer support departments in the world. One of the things they pride themselves on is their simple, no-questions-asked return policy. Zappos lives by the philosophy that if you go the extra mile (and even lose a little money) to create “WOW” experiences for customers, buyers will keep coming back. Eventually, this creates brand trust and leads to more sales. The goal for an e-commerce website is to become a one-stop resource for everything the customer needs to make a purchase. A good place to start would be with the descriptions in your product pages. Put yourself in the shoes of a potential customer. Imagine every question they might have and answer them thoroughly in the descriptions. 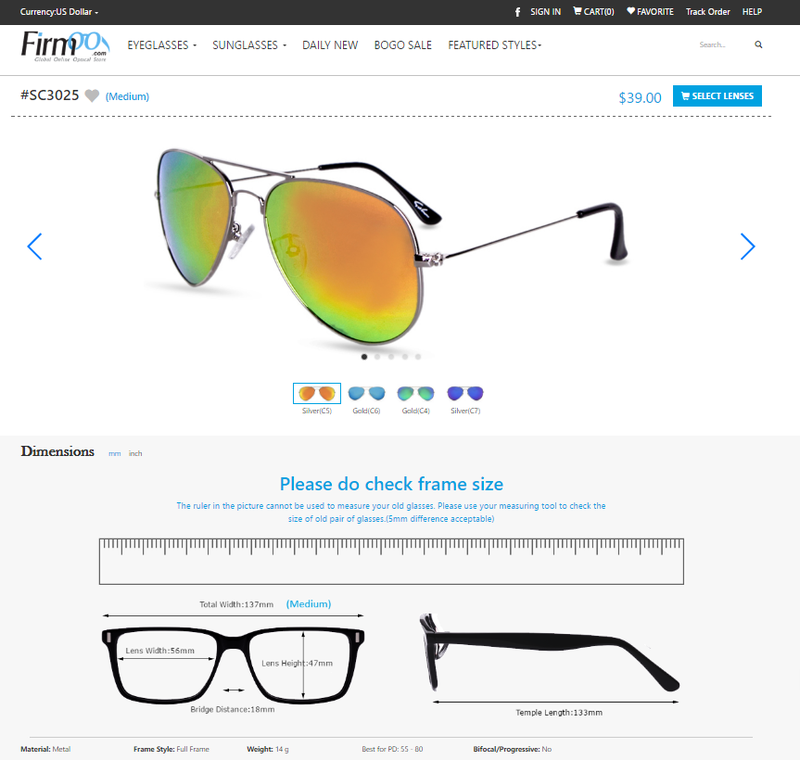 From specs, to measurement, to reviews, and even online consultations, Firmoo covers all the bases to make sure customers buy the right pair of glasses every time. Supplementing product reviews on listings is a great idea. In fact, surveys show that 90 percent of buying decisions are influenced by reviews. However, this needs to be done very carefully. Posting only positive feedback can throw up some red flags for the visitor. Be sure you include both the good and the bad. With the negative reviews, showcase the fact that you reached out to the customer to resolve their issue. With more and more e-commerce websites popping up by the hour, it is very important that you put the time and money into creating an intuitive interface that seamlessly answers all the pressing questions one might have. Finally, in order to give information to your customers, you need to collect information yourself. Predictive analytics is becoming increasingly important for e-commerce in order to stay on top of customer requirements. Brush up on your big data and analytics skills. Zeolearn offers hands-on mentorship and from industry experts in data visualization with tools like Tableau that will help you make sense of your analytics dashboards, understand industry reports and estimates, and quickly make decisions that will benefit your customers. Social media is undoubtedly the biggest phenomenon of the internet. With over one-third of the planet’s population currently partaking, establishing a presence is no longer a choice for brands. Perhaps the most beneficial aspect of social media is that it gives companies the opportunity to take a step back from their professional demeanor and exhibit a unique brand persona. Just be careful not to come off as overly “salesy” with the content you promote. Most people aren’t on social media to hear blatant pitches. Additionally, this is a golden opportunity to interact with customers on a more personal level. You can also pick up on insights as to what types of content your target audience is interested in. Consider using tools like Brandwatch to get an idea of what people are talking about in regards to your industry, and quickly act upon the insights you get by monitoring these conversations. 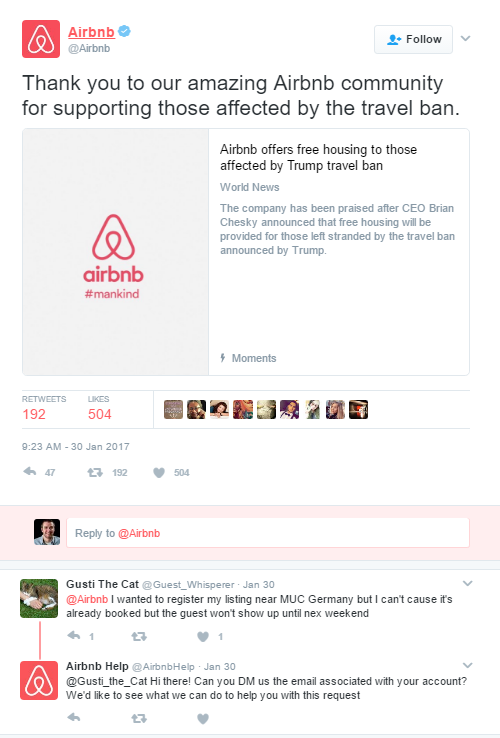 For instance, Airbnb does an outstanding job with social media. They keep up with trending issues and post content accordingly. You’ll also notice the personal interaction with a follower below. Posting and responding like this can do wonders to boost credibility while adding a human element to your brand. Social media can be your marketing strategy’s best friend. Use it wisely. The rise of e-commerce has brought a whole new meaning to the term brand loyalty. The entire landscape of customer service and interaction has been changed forever. At the end of the day, it’s all about the user experience. Every single element matters toward building trust to keep them coming back. 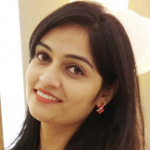 Dipti Parmar is a blogger and business consultant. She has been featured on sites like Inc., CIO, CMO, Entrepreneur and more. In her free time, she enjoys cycling.